Congratulations to three of our Camberley Students, Connor, Jules and Owen on their promotion to Green Belt! 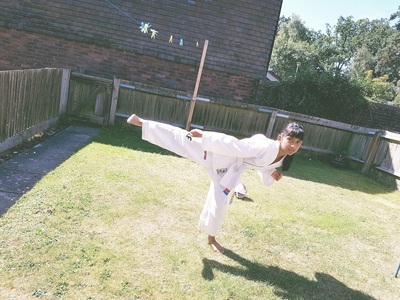 All three students were tested on many aspects of their Taekwon-Do knowledge, including a written theory test, patterns performances and line work. The effort they put in was outstanding and we are very proud of them all. Well done boys! Some of the most exciting days of the Swift Fox TKD calendar are the grading days and the 23rd March was no exception. 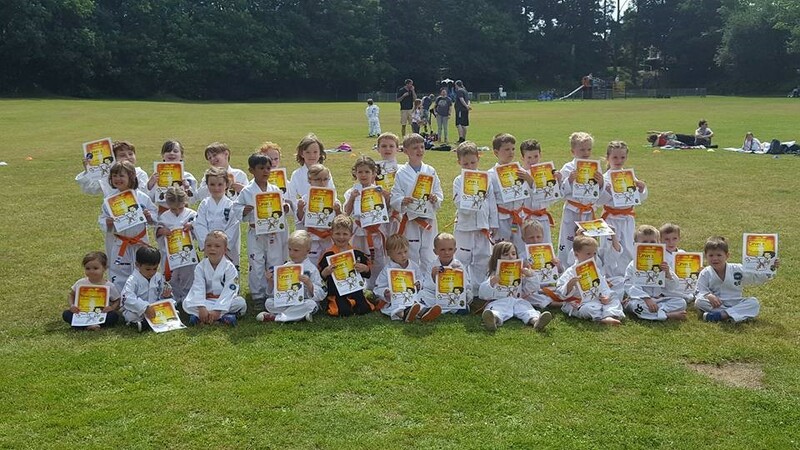 The 3-6 year olds graded first and impressed all the instructors present with their exceptional knowledge of TKD theory - nearly every student achieved 100% on their theory. This demonstrates excellent perseverance and effort in learning their Korean words. One of the highlights was the 'animal impersonations' in which two of our student won prizes; Aydin for the best 'grass snake' and Ria for the best 'squirrel'! 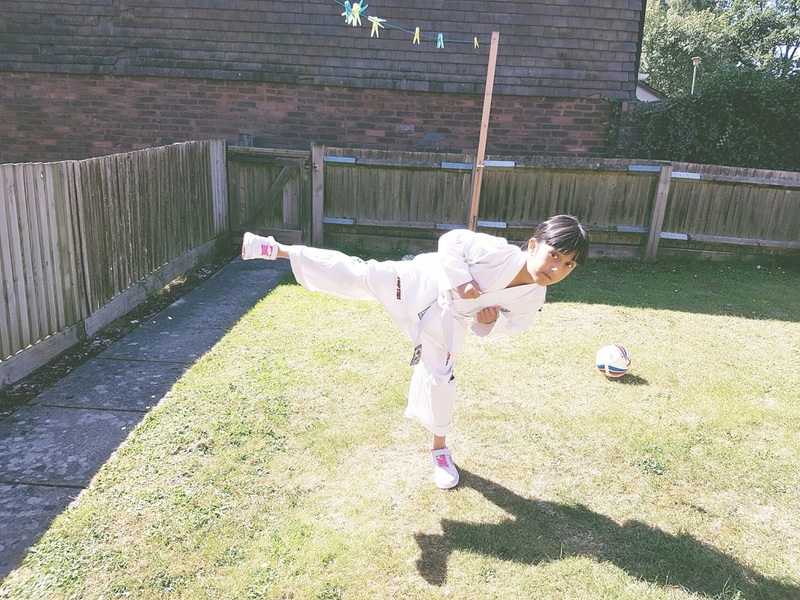 A special mention should go to Inaya, from the Camberley class, who graduated up to the Junior level and swapped her 'TKD Kids' orange belt for her brand new white belt! Well done! Later on in the day, the Junior TKD students (7-12 year olds) did their green tag grading. 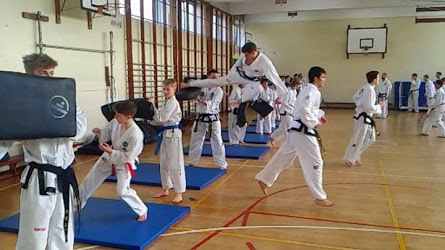 All students were tested rigorously on their theory and physical Taekwon-Do ability. The standard was very high - but Farnborugh student Tori excelled herself by achieving a perfect 30 out of 30 score - and unprecedented result and well deserving of the highest achieving student trophy! 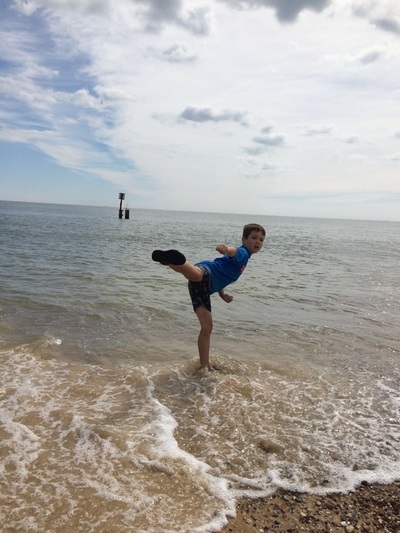 Bobby, a Camberley Junior TKD student won the 'Pumping Side Kick' competition, beating over 40 other students to the side kick trophy. Mr and Mrs Fox Longdon are extremely proud of all their students' achievements and left the grading with big smiles! Well done everyone! ​Mr Fox Longdon was one of six AETA Instructors to attend the IUC in Cardiff. 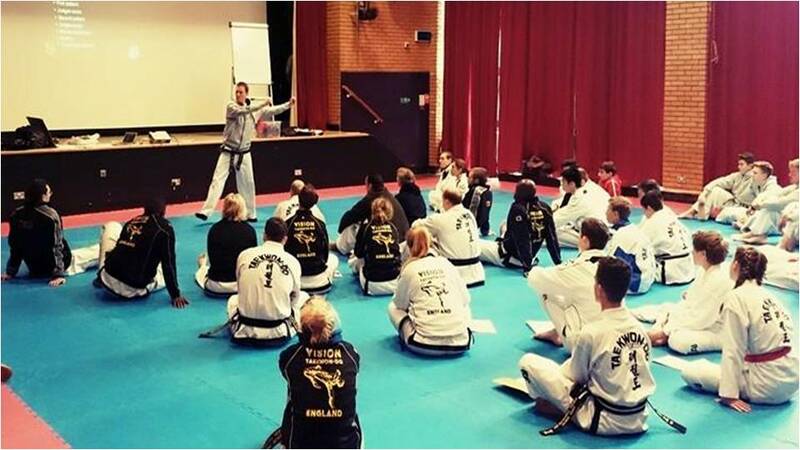 The course was attended by Black Belts from across Europe with many hoping to qualify to umpire at the World Championships in Germany this April. Umpiring is a skill like any other. If you want to be good at it, you must practice and occasionally make some mistakes in order to learn. This course offered the opportunity for attendees to refresh their knowledge, practice their skills, ensure consistency and ultimately try to ensure the highest standards of umpiring at competitions. The course was led by Master Katz (Chairman of the ITF Umpire Committee) who was supported by Master Wallace (Member of the ITF Umpire Committee). Grand Master Bos (former member of the ITF Technical Committee) also attended as a special guest and provided the opening and closing addresses. The IUC covered many different aspects of umpiring from officially opening a ring to the procedures for scoring special Technique. Although Mr Fox Longdon has been umpiring for several years, the course offered many new experiences and clarified several queries regarding interpreting the rules. The IUC was Mr Fox Longdon's first introduction to the electronic scoring system used at international competitions for both patterns and sparring. He was also introduced to "Coaches Eye" and app that allows video's to be slowed down, zoomed in and annotated in real time. This was very useful when trying to ensure consistent scoring. This allowed a video to be watch and scored in real time, before checking the scores by viewing the footage again in slow motion and even watching a single technique several times to highlight a technical point. Although there was a lot crammed into the two days, Mr Fox Longdon enjoyed the course and is looking forward to more umpiring at competitions throughout the year. 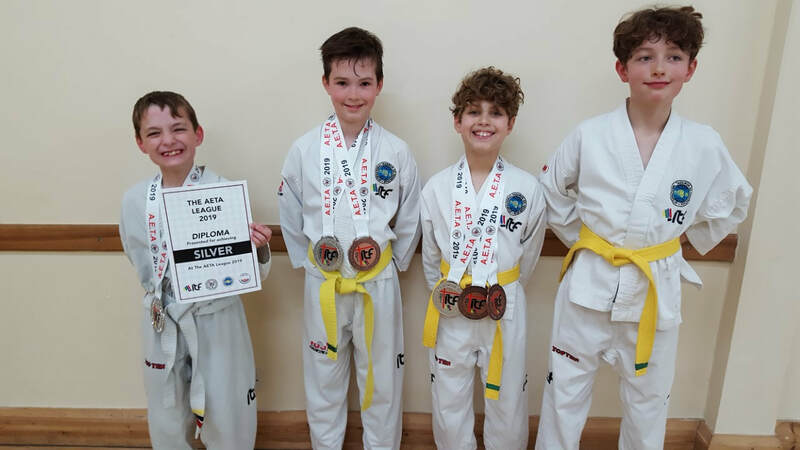 Three of our Green Tag students travelled to Tonbridge for the third leg of the Vision Takwon-Do Association Championships. This was the largest VTA Competition to date with over 240 competitors from Taekwon-Do schools across the south East of England. 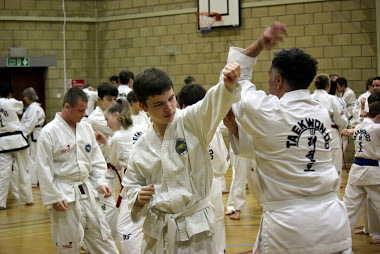 The Vision Taekwon-Do Association hosts three such events each year. 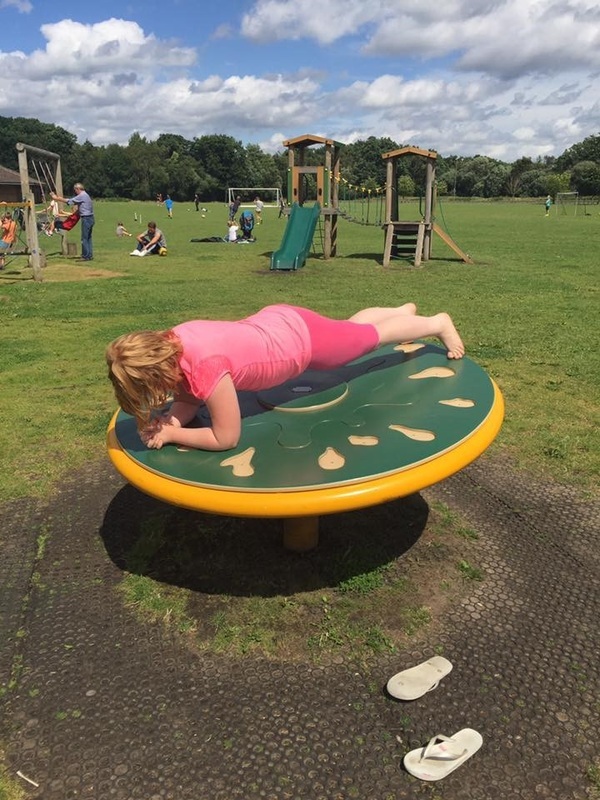 These are designed as a friendly introduction to competition for its junior members and allows its senior members some mat time under competition conditions. It was a tough competition with some very large divisions. However we are pleased two of our students came away with medals. ​Three 8th Kup students have taken their first full Taekwon-Do grading. 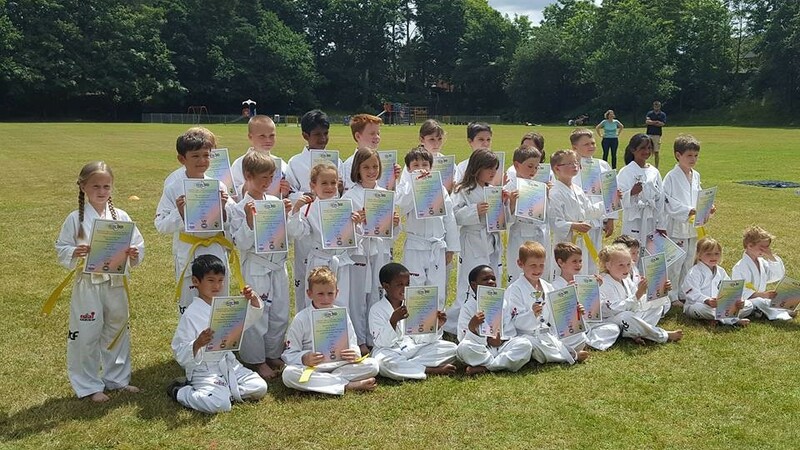 Having passed to yellow belt through our Tag grading system which is specifically designed for children, this represented a significant step up to a formal adult Taekwon-Do grading. The grading was therefore conducted as a formal exam with Mrs Fox Longdon presiding. After a short warm up, students were required to perform their syllabus sequence, Saju Jurugi and pattern Chon Ji as a group. The students then began their written theory paper covering all previously learnt Taekwon-Do theory. Concurrently each student was called up individually to perform Saju Makgi and their new pattern Dan Gun followed by a comprehensive verbal theory test of their current grade syllabus. Finally, the students were required to perform Sambo matsogi (three step sparring) sequences one, two and three. The aim of this choreographed type of sparring is to test the students understanding of the angles, distances, tools and vital spots used in these techniques. 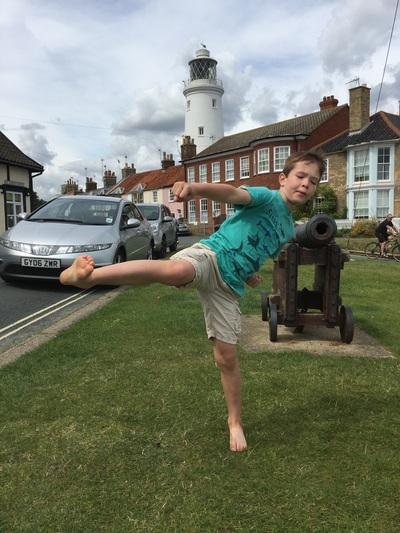 'Swift Fox 'TKD Kids' student, Oakley, demonstrated his fantastic Taekwon-Do skills in the Badshot Lea Village Infant School 'The B Factor' talent show. He talked about 'The Strongest Five' characters and what they represent, the meaning of the word 'Taekwon-Do' and even counted to 7 in Korean . Oakley then demonstrated some of his techniques (even doing some blindfolded!) to the judges, who also commented on how confident he was performing and speaking in front of all the children, the teachers and parents of the other acts. Out of 147 children, nine made it through to the final, but there could be only one champion and that, of course, was OAKLEY!!! We are very proud of him. Well done Oakley! Fabulous performances today by all our tag students with over 100 students grading during the course of the day. As usual, the TKD kids class (3-6 years) were required demonstrate attacks and blocks relevant to their levels. 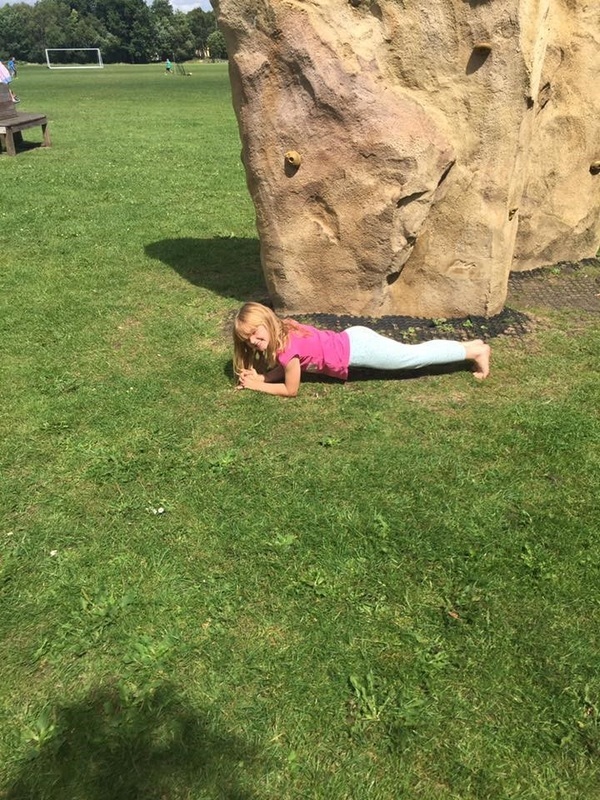 They also answered theory questions on the techniques and the 'strongest five' character they have learnt about this term. This was interspersed with lots of games, pattern demonstrations from the black belts and healthy snacks to keep up the energy levels. For one student, Juliette, this was an extra special day as she completed the TKD Kids syllabus and earned her white belt. They are now ready to progress to the Junior TKD class. Most of our Junior TKD Class (+7 years) were testing for their 'Black Tag' today. They were scored out of five for the physical elements which included Dwit Chagi (Back Kick) and Nopunde palmok, yopbap makgi with a bandae jirugi (High forearm side front block with reverse punch). We were pleased to see several students getting fives for these techniques. Most then went on to get all ten theory questions correct too. 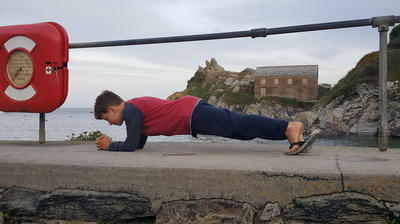 Those with three tags or more were required to perform Saju Jirugi whilst those completing the Junior Tag Syllabus were also required to perform pattern Chon-Ji. Another significant milestone was achieved by Dallen in the 'Junior TKD' grading. Having completed all the staged of the junior grading syllabus, Dallen was awarded his 8th Kup, yellow belt. Well done! ​The Vision Taekwon-Do Association was held at the Freedom Leisure Centre Crowborough on the 5th May. This annual seminar is free to all Licenced Members who are 9th Kup and above. In all there were 120 students from across the home counties. The Children started their day with sparring drills from Mr Arroyo. This was following by traditional Sparring with Mr Thompson and Mr Fox Longdon. Traditional Sparring is a competition event that involves a choreographed Taekwon-Do sequence with a partner demonstrating a range of attacks and blocks. 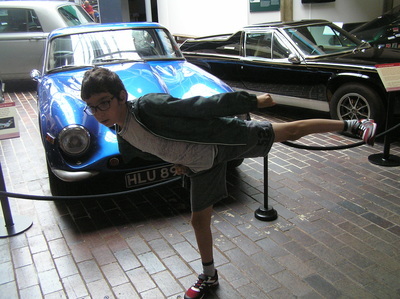 This was followed by a self-defence session with Master Chesterman and Mr Bourne. Meanwhile the adults had been busy with kicking drills, their own sparring drills and power kicks. The two groups then combined for a group photo before the children departed leaving the adults to find a quick lunch before the afternoon sessions began. 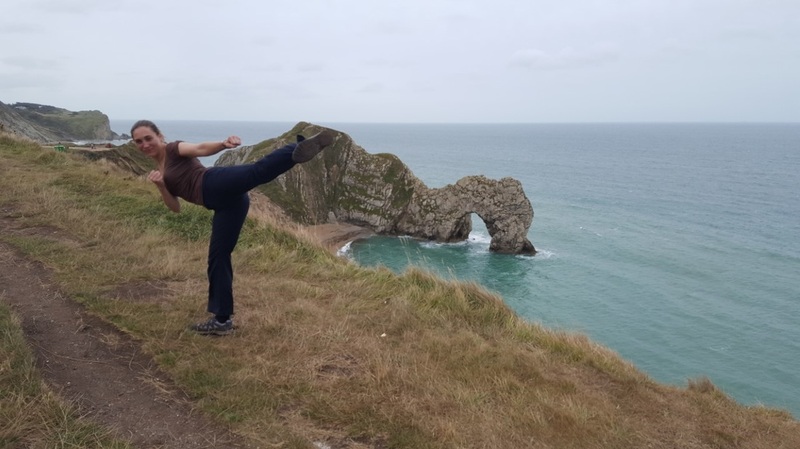 The afternoon started with Master Chesterman taking the adults through so fundamentals of performing Taekwon-Do which involved the development of power (and a little conditioning of the hands). Then Mr Bourne took the group through a range of stick drills and self-defence drills. Finally Master Lear took the Black Belts through their degree patterns. All in all an excellent day practicing Taekwon-Do! Easter is just around the corner which means we are already at the end of another exciting and action packed term of Taekwon-Do. 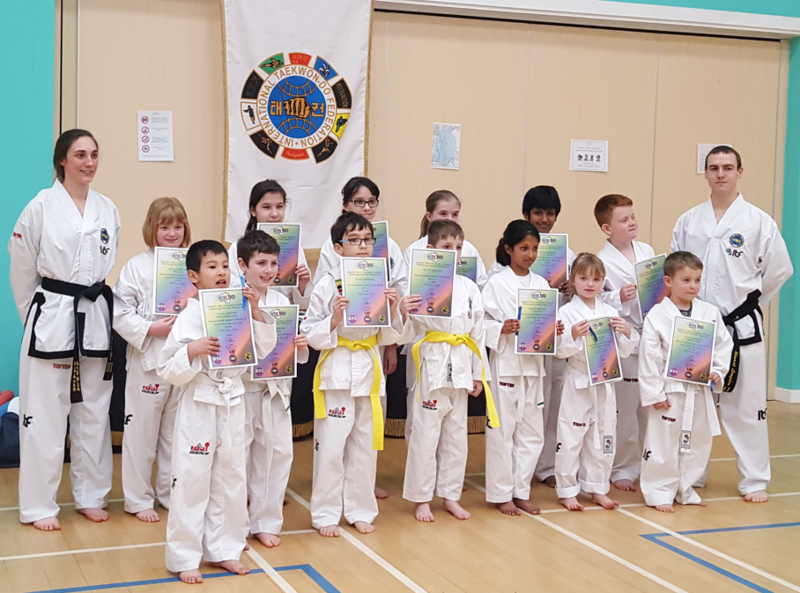 Saturday 24th of March marked the climax to the Spring Term for many of ‘Kids TKD’ and ‘Junior Tag’ students grading for their various promotions. As always we started with the ‘TKD Kids’ who had to perform various Taekwon-Do techniques, answering their syllabus questions and describing one of the Taekwon-Do tenets to get their next tag and badge. Later in the day it was time for our Junior Students most of whom were testing for their ‘Red Tag’. Some very impressive performances with some very high scores for both the theory and practical parts of the test. At the end of the testing the scores were all added up leaving Jules the winner of the highest grading score trophy. This was particularly pleasing as Jules has twice been the second highest scorer. To be the highest whilst passing to yellow belt hopefully made the day even more special. A very busy and exciting tag grading day for lots of Swift Fox TKD students along with clubs affiliated to ‘Learn TKD’. The grading day started at 09:30 with some of our 3-6 year old 'TKD Kids' completing their relevant theory, describing their relevant 'strongest five charterer' and demonstrating their taekwon-do skills in order to gain their next level. This Christmas grading was overseen by Mr Adams dressed as a Father Christmas. Then it was time to get a little more serious for our 7-11 year olds', Junior Taekwon-Do grading with students going for their 'blue tag'. This involved them demonstrating various techniques and answering ten Korean terminology theory questions. By 13:00 we were half way through the day with a second round of 'Kid Kids' and 'Juniors to gradings' in the afternoon. All the hard work paid off and all Swift Fox TKD students successfully passed. 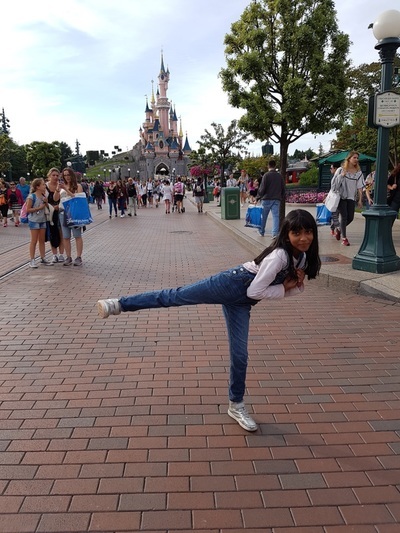 Our junior students made us very proud with some very high marks and Laisha winning the 'pumping side kick competition'. 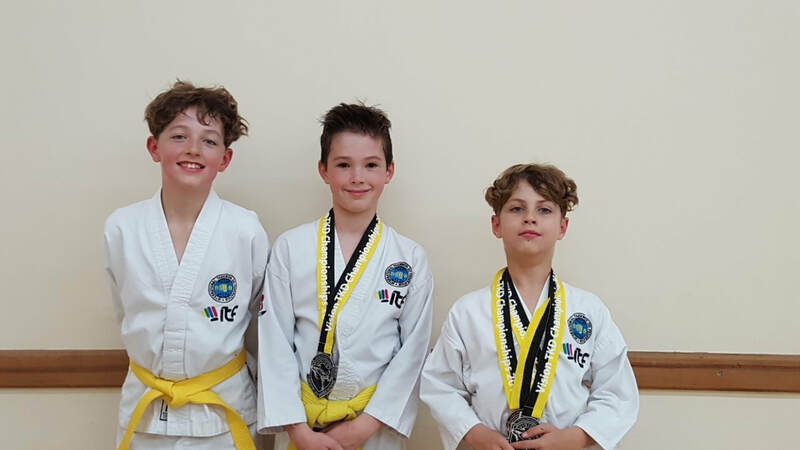 Special congratulation to Owen, Laisha, Havish and Lucius who all successfully completed the Junior Tag syllabus and after two years of hard work were promoted to 8th Kup Yellow belt. On the 4th of February 2017, the Vision Taekwon-Do Association held its first Awards Ceremony in the form of a black tie dinner at the Mercure Hotel Tunbridge Wells. The event brought together 82 members of the Vision family to celebrate our individual and collective achievements of 2016. Mr Fox Longdon who organised the Awards evening received his 3rd Degree certificate and Mrs Fox Longdon received her 4th degree certificate and International Instructor Certificate . As well as degree certificates, the overall winners of the VTA League received their trophies and the club with the highest medal tally received the overall winners trophy. After the ceremony, the dance floor was open and the party continued until the early hours! The Christmas grading for all ‘TKD Kids’ and ‘Junior TKD’ was held on Saturday 10th December. A culmination of a lot of hard work over the previous term just before we finish classes for the Christmas break. 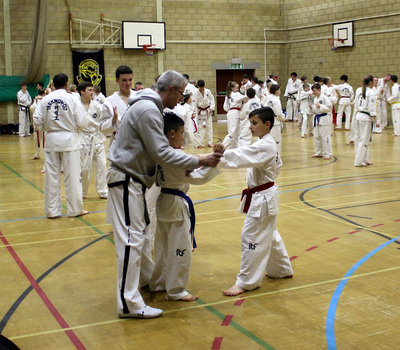 Four separate gradings were held back to back with over 100 students testing. ​The Farnborough ‘TKD Kids’ class kicked off the day with nine students testing for various levels. Each had to demonstrate their respective movements and answer their syllabus questions. They all worked very and were all successful in achieving their next level. 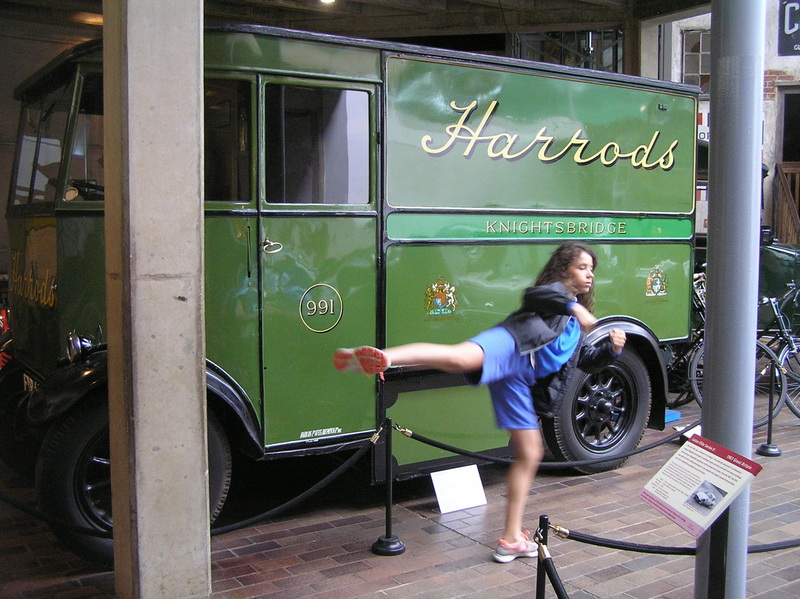 This was immediately followed by four Farnborough 'Junior TKD' Students testing for their 'Black Tag'. All were successful with some very high scores which saw Lewis Blackford taking the trophy for the highest marks. After a short lunch, Camberley 'TKD Kids' arrived with four students testing. After demonstrating their syllabus and their skills at the assult course they were all successfull in achieving their next level. The final test of the day was for the Camberley 'Junior TKD'. 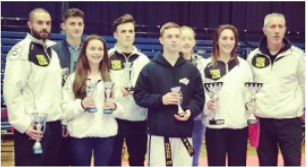 Although our Farnborough juniors had set a high standard to follow the Camberley class proved equal to the challenge. The end of the day saw all students recieve their 'black tag' and again the scores were very impressive. This time Conner Kinnear emerged with the highest score thanks to some great back kicks and Mirzo Mirakhmedov won the pumping side kick competition beating off some tough competition. Whilst most people were still in bed on Sunday, six Swift Fox TKD were up early and demonstrating their best Taekwon-Do. Swift Fox TKD combined forces with LEARN TKD and under the watchful eyes on Mr Adams tested for their next kup grades. 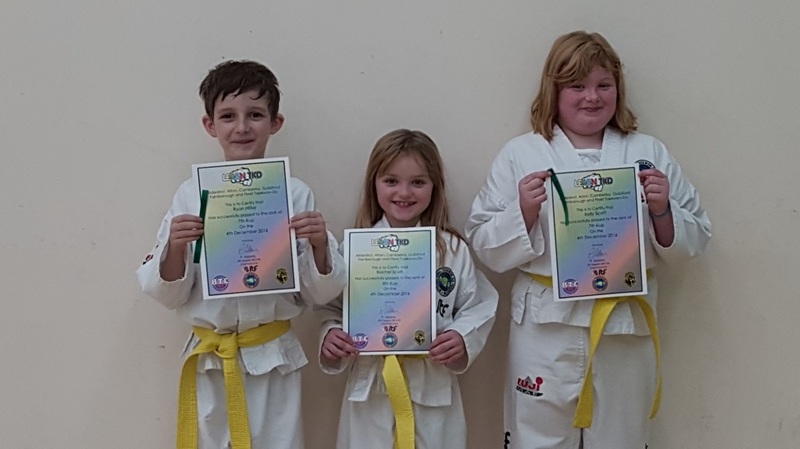 Unlike the majority of our students who follow a children's tag grade syllabus in order to reach yellow belt (8th Kup) these students have either previously achieved 8th kup or have been following the normal adult syllabus. This was the largest grading of 10th to 6th kup students we have ever attempted and over the course of seven hours, 44 students took to the floor to perform their relevent paterns, three step sparring, competition sparring and power demonstrations. Another hugely successful day was had by six Swift Fox Taekwon-Do students (and instructors) at the VTA Competition in Alton. First up were the black belts, including Mr & Mrs Fox Longdon. Mr Fox Longdon put on a great display in patterns, coming away with silver. Mrs Fox Longdon demonstrated that size isn't everything when it comes to breaking, winning gold in the power test. A very proud Ryan Hillier with his patterns gold medal! Kira Miraoui (left) and Leila Miraoui collecting silver and gold respectively in the sparring. Mrs Fox Longdon with the very successful Swift Fox Taekwon-Do contingent! Rachel Scott with her impressive haul of medals. Special mention must be made of Rachel Scott. 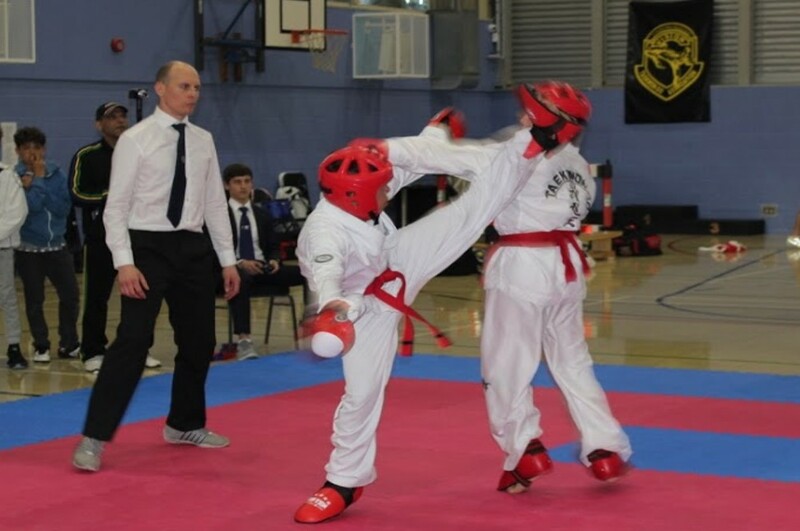 Our smallest and youngest competitor was also the most successful of all the Swift Fox TKD students. She fought against people far larger and more experienced, but was completely undaunted! At this, her first competition, Rachel came away with a bronze medal in special technique, a silver in patterns and a silver in sparring! Wow! We are extremely proud of you and you demonstrated all your hard work and dedication to Taekwon-Do! Well done everyone. 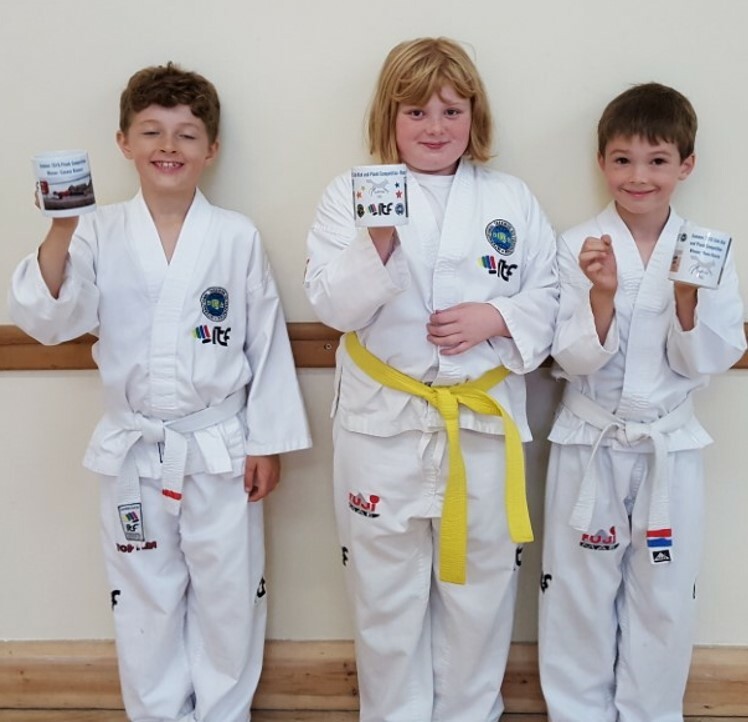 The winners of our summer plank and side kick competition received their prize mugs, complete with their winning photos on them! Well done! 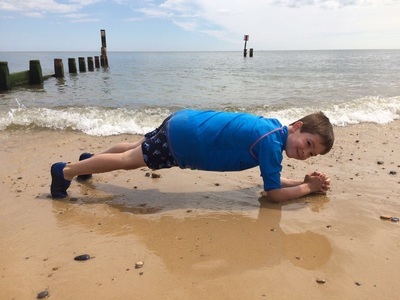 Over the summer holidays, we set the challenge to Swift Fox Junior TKD students to do a side kick and/or the plank and to get their photo taken. We will be judging them on technical accuracy, as well as location. Entries will be uploaded below. 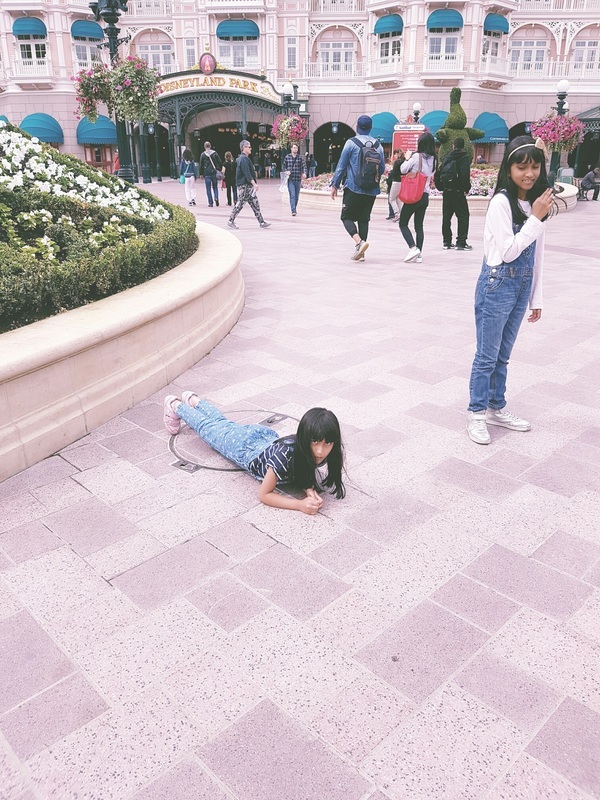 Which photos get your vote? What an exciting and unique grading day! The summer grading for all ‘TKD Kids’ and ‘Junior TKD’ was held on Saturday 16th July. Four separate gradings were held back to back with over 100 students testing. The day started with some confusion as no one turned up to open the venue. However, we quickly adapted the programme and conducted the grading in the adjacent sports field. The weather was in our favour although the instructors were a little frazzled after over eight hours in the sun. The Farnborough ‘TKD Kids’ class kicked off the day with seven students testing for various levels. Each had to demonstrate their respective movements and answer their syllabus questions. They all worked very and were all successful in achieving their next level. Immediately following the ‘TKD Kids’ were the Farnborough Juniors. Things were certainly heating up at this stage and it is a credit to the students that they maintained their focus under some tough conditions. Seven students passed their ‘Red tag’ having completed their respective movements and their Korean terminology test. At the end of the grading Farnborough student Uri Quadros was awarded the trophy for the student with the highest overall mark. 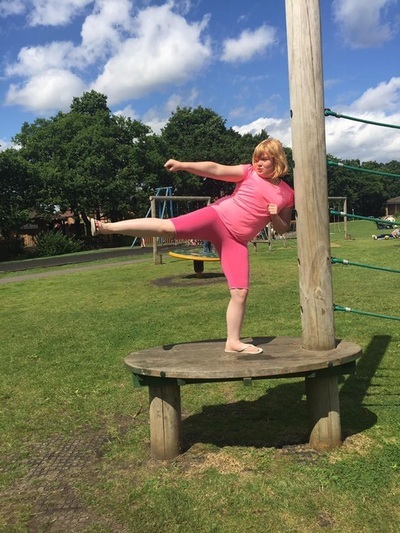 Special congratulations go to Kelly Scott who successfully passed her 8th Kup (Yellow Belt) test. As well as passing a more detailed theory test Kelly also had to perform ‘Saju Jirugi’ (Four directional Punch) and pattern ‘Chon Ji’ in order to earn her belt. Kelly has been working so hard that before being awarded her belt she joined some of the black belts to demonstrate pattern ‘Do-San’ which is normally only learnt after gaining a yellow belt. The final grading of the day was the Camberley ‘Junior TKD’ class. Five students from Camberley passed their ‘Red Tag’ having also completed their respective movements and their Korean terminology test. At the end of the grading Owen Bourne won the trophy for the best pumping side kick which is testament to all the effort he puts in in class. 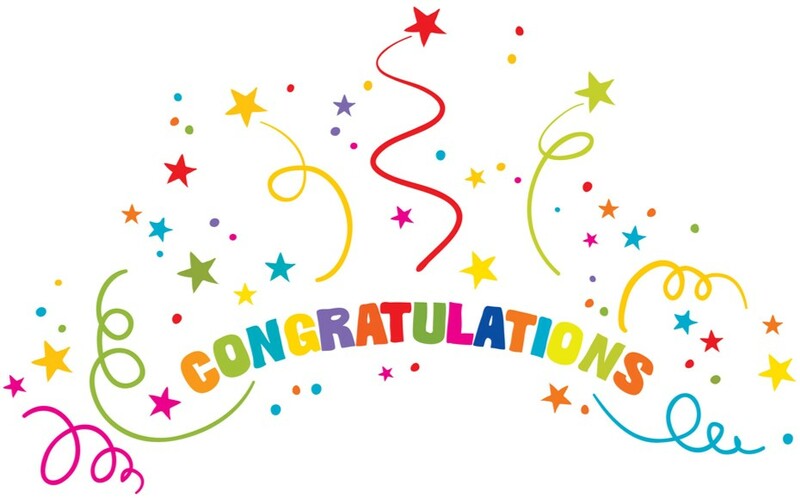 Well done to all the students who successfully passed their tests. Grading days are always exhausting but to see so many students achieving such high standards makes us very proud. Saturday 19 March 2016 saw the highest ever number of Swift Fox Taekwon-Do students grading. First up were our ‘TKD Kids’ who were all going for their Level 2 and ‘Jung-Su’ badge, representing ‘integrity’. All students had to show that they can count to 7 in Korean and answered some tricky terminology questions. Next came the demonstration of their newly learnt Taekwon-Do techniques, including wedging blocks, downward kicks and some excellent jumping punches breaking newspaper! All Swift Fox Taekwon-Do students were successful after a very fun day. Next up were the Junior Taekwon-Do students. This was the first grading for a number of students and their conducted themselves admirably. All were able to correctly demonstrate their syllabus moves and answer tricky questions on Korean terminology. 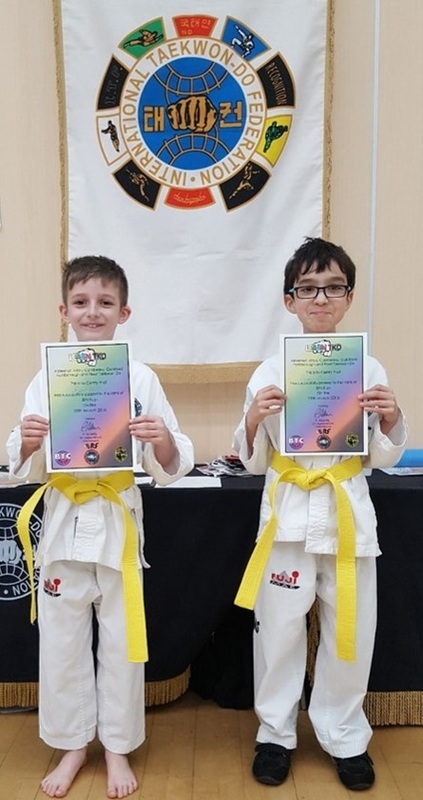 Massive congratulations to for Ryan Hillier and Sami Miraoui, who successfully graded to obtain a coveted yellow belt. Two years of hard training and revising have definitely paid off, with both completing the whole 'tag syllabus'. The grading saw both Ryan and Sami putting on their best-ever performance of pattern 'Chon-Ji'. Well done. 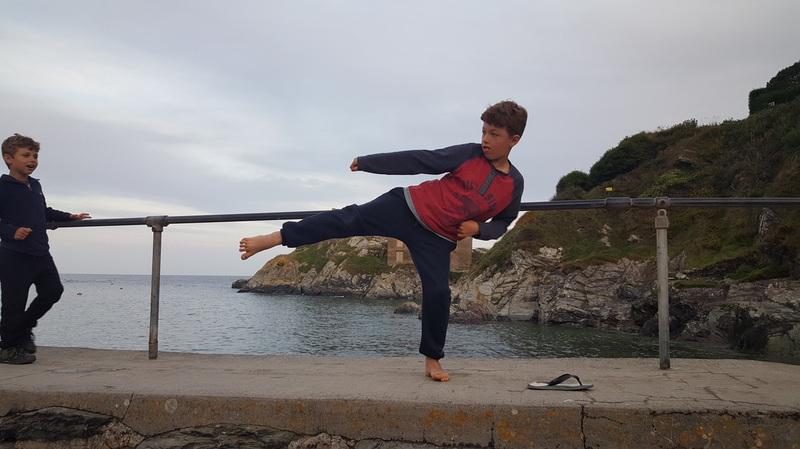 Uri Quadros again gave an excellent demonstration of 'pumping side kick', getting through the final and narrowly missing out on the trophy. Considering that their were over 60 competitors at the start, this is an excellent achievement. Again, all Swift Fox Taekwon-Do students were successful and we look forward to the next grading! Well done everyone! Click on link below to watch Ryan Hillier perform Four Directional Punch! Saturday 5th December 2015, saw the most successful grading in Swift Fox Taekwon-Do History! First up were our ‘TKD Kids’ who were all going for their Level 1 and ‘Curtis’ badge, representing ‘courtesy’. This was the first grading experience for many of our students, yet all of them performed admirably, answering some tricky questions on Korean words and gaining both their tag and badge. Special mention to Rowan Edwards who won a prize for the best snake impression and to Danny Alexander who was the best Tiger! The Junior Taekwon-Do students were all Fantastic. The hours of practice learning the syllabus movements, refining techniques and revising Korean terminology all paid off in style. Every single Swift Fox Junior successfully passed their ‘green tag’, which in itself was extremely pleasing. In the first of the Junior gradings, our club members were successful in the ‘pumping side-kick competition’, with Uri Quadros winning a bronze medal and Leila Miraoui winning the gold. At the end of this grading, it was announced that Kelly Scott was the highest scoring student, winning a trophy for her achievement. Then came round two – the second of the junior gradings. Again, all students passed, with Ryan Hilliar performing ‘four directional punch’. His excellent technique was noticed by other instructors, declaring it to be one of the best patterns they had seen a white belt do. To add to an already very successful day, Roux Phipps won the trophy for highest scoring student for this grading. We are so incredibly proud of all our students who graded and chuffed to bits with you all! 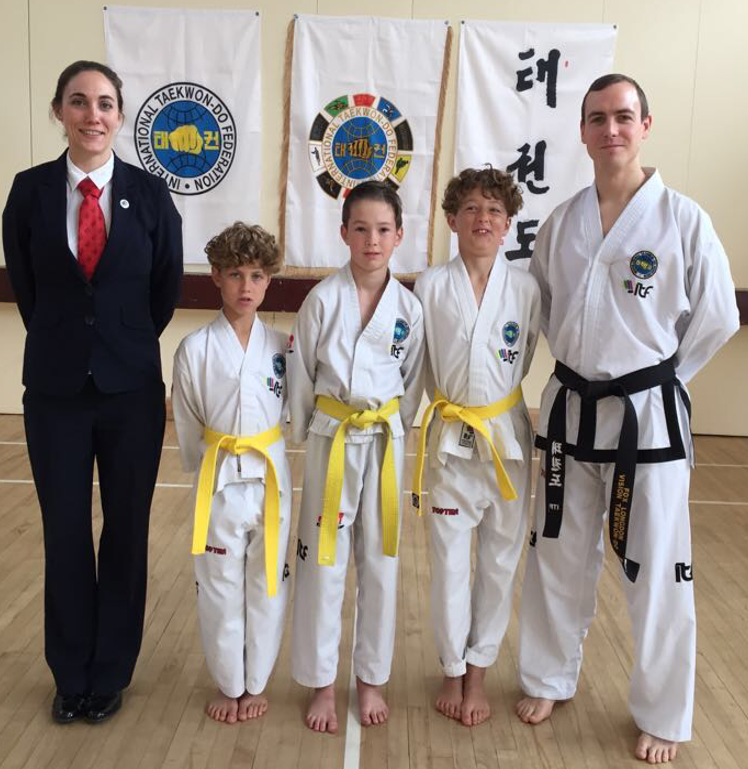 Four brave students attended their first ever competition in Alton on Sunday 8th November 2015. The patterns competition was first and there were excellent performances from all. Kelly Scott won a well-earned bronze medal for her four-directional punch. Kira and Leila Miraoui both chose to do the slightly harder pattern of Chon-Ji, with Kira eventually winning a bronze. After battling through many rounds, often against more experienced competitors, a thrilling sparring final followed, between Kira and Leila, ending with gold and silver medals respectively. Sami Miraoui also gave a great performance in an extremely large category but didn't make it onto the podium this time. The Swift Fox Taekwon-Do supporters were also marvelous, cheering our competitors on loudly! This is a fantastic set of results for Swift Fox Taekwon-Do and I am extremely proud of you all. Well done to all students who entered their submitted their side kick photos, especially those who have only been training for a few months! We are pleased to announce that the winner of the 'best TKD Kids' side kick' is Rachel Scott (left) and the winner of the 'best Junior TKD side kick' is Leila Miraoui (right). They are now each proud owners of a mug with their winning photo on. Congratulations! 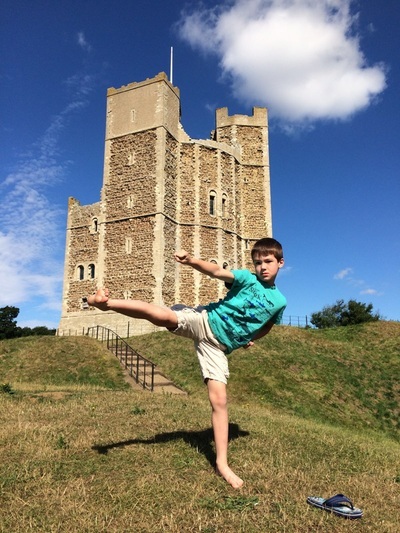 Throughout July and August we invite all students to enter the Swift Fox TKD photographic competition. Photos will be judged on location, composition and (of course) technical accuracy and height of the kick! A sample of photos will be displayed here with the best photo from each class receiving a prize in September. Students, for your safety, please remember to only practice your Taekwon-Do over the summer with your parents' permission and their supervision. 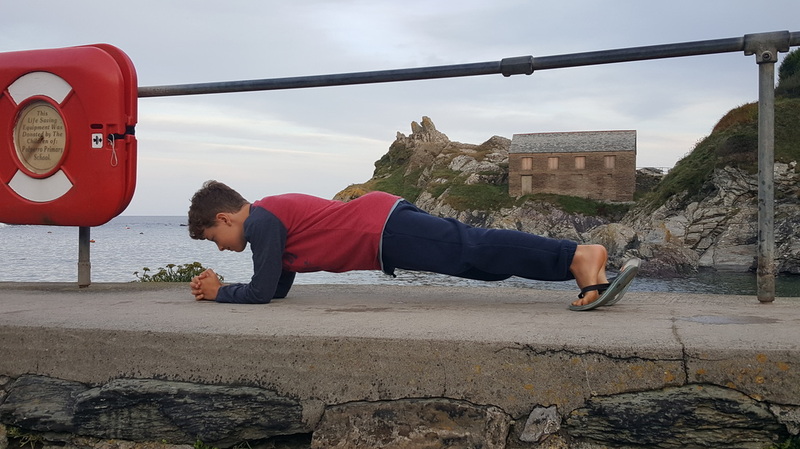 Summer holidays are just around the corner; but before anyone takes a break, today was test day for both our TKD Tigers and Junior TKD Students. In the morning, two groups of TKD Tiger students were tested on their ‘Stranger Awareness’ knowledge as well as their relevant tags. ‘Grand Master Timmy the Tiger’ popped in and was very impressed by the flying punches and animal impersonations! 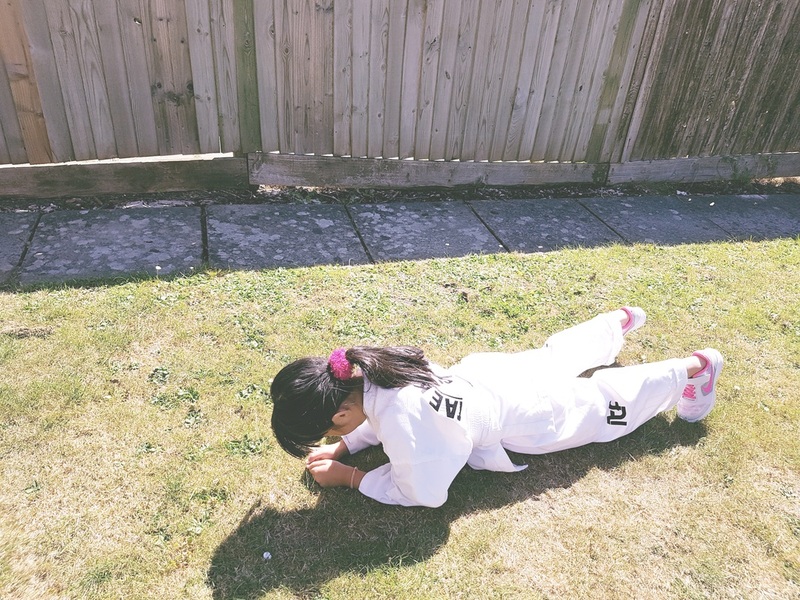 In the afternoon, the Junior Taekwon-Do students were tested for their ‘yellow tag’ which involved demonstrating lots of punches, blocks and kicking drills as well as knowing the Korean terminology. Students were also treated to a magic carpet races courtesy of their instructors! This was also the first grading where some of our Farnborough students had to perform ‘Saju Jirugi’ (four directional punch) a key milestone on the way to earning a coveted ‘Yellow Belt’. Some great performances throughout the day with several students getting 100% on their theory questions. Well done! The VTA annual inter-club championships was held on the 9th May. This event is run by the VTA specifically for kup grades (coloured belts) of affiliated schools to gain experience of performing under competition conditions. This year's competition saw 169 competitors from 14 different schools competing for a space on the winners' podium. The event was open to 9th kup (Yellow Tag) through to 1st Kup (Red belt - black tag). All kup grades had the opportunity to competed in patterns and sparring. Under 18's also attempted flying side kick over a hurdle whilst adults competed in power test (breaking boards with various techniques). Whilst many will have eased into the May bank holiday with a relaxing lie-in, Vision’s senior grades (1st Kup+) gathered in Tonbridge for the VTA Umpire Course. Umpiring is a skill like any other we learn through our martial art; it requires regular practice and constructive feedback in order to master. This year the course was taught by Mr Gibb; an International Umpire who has experience of the highest levels of our sport. For some this was an opportunity to refresh their skill whilst for the 1st Kup and the newly graded black belts this was their first opportunity to learn and practice how to run a competition ring. Regardless, everyone got the opportunity to put theory into practice taking on various roles for both patterns and sparring. 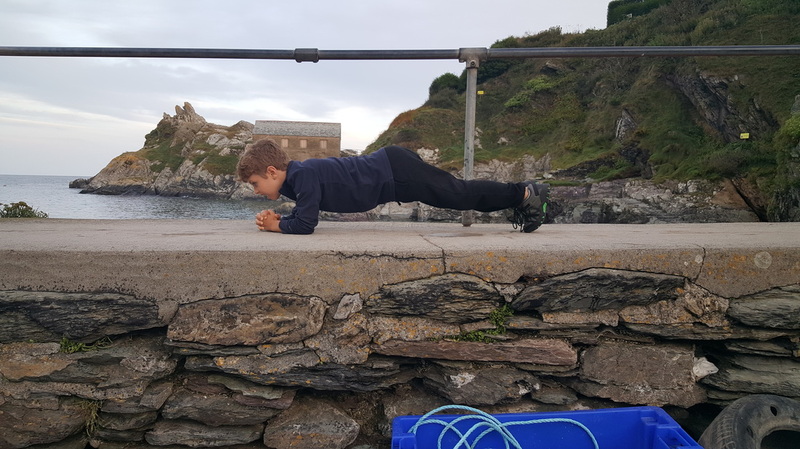 These skills will be vital in ensuring the annual VTA Championships for Kup grades (9th May) are a safe and successful event. The Holland Cup of 2015 coincided with the 60th anniversary of Taekwon-Do. This competition was used by many individuals who represent their national teams use as a warm-up for the World championships in May. 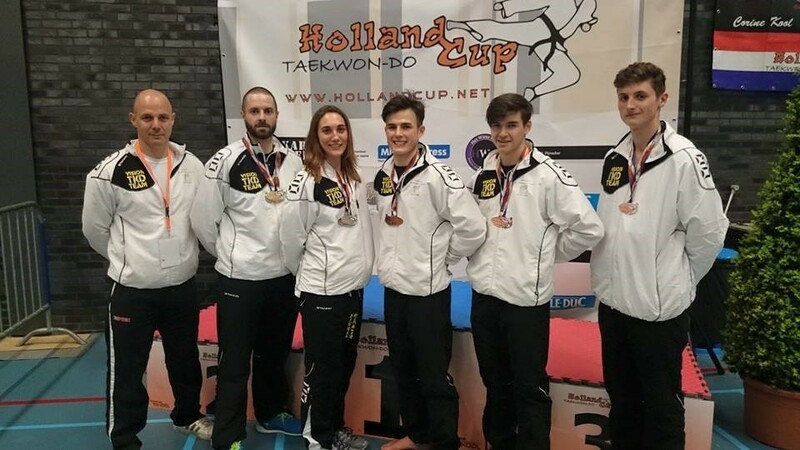 Five competitors (including Laura) from Vision TKD, accompanied by England Team Head Coach Mr Lear, made their way to Delft in the Netherlands. Here we met up with other teams from England, including many from the national team. Laura had one of her toughest competitions yet, resulting in her winning a silver in individual sparring. In addition, Laura was part of the England senior female team, winning another silver. A very busy and exciting grading day for lots of Swift Fox TKD students along with clubs affiliated to ‘Learn TKD’. The grading day started with two sessions of Tigers with students going for their ‘Global Awareness’ theme badges and their relevant tags. The Tigers also got to meet ‘Grand Master Timmy the Tiger’ and had a lot of fun playing games and meeting new Tiger friends. The Junior Taekwon-Do students were all going for their ‘black tag’ involving demonstrations of their best back kicks and their knowledge of Korean terminology & theory among other things! All the hard work paid off and all Swift Fox TKD students successfully passed. The UK Taekwon-Do Association English Open Championships is an annual competition that takes place in the Guildford Spectrum Leisure Centre. 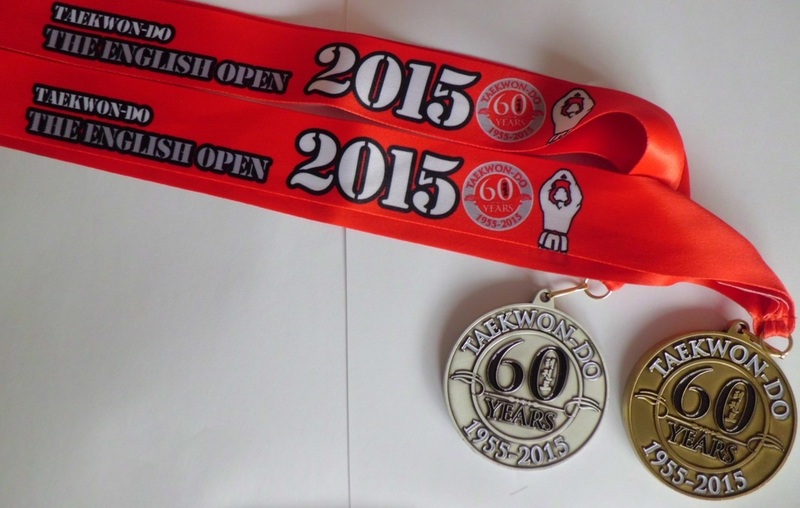 As this year marks the 60th Anniversary of Taekwon-Do, bespoke medals were issued to mark the occasion (see picture). Laura won gold in sparring against some very experienced fighters in what was overall, a very high level of competition. In addition to this gold, Laura also won a silver medal in the power test. 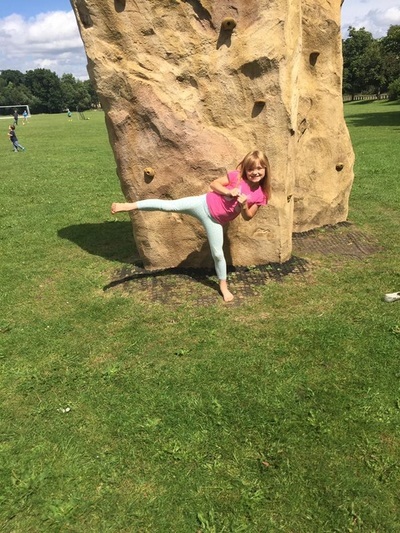 This included breaking boards with a jumping back kick – something that she wasn’t expecting in this competition! Thanks to the Mott family for all their support on the day! The PUMA Championships is an open competitions with entries from wide range of Taekwon-Do Associations (not just ITF-affiliated clubs). This year's competition featured a number of international competitors including England, Wales , Republic of Ireland and The Netherlands. Many members of the current England Squad were also keen to practice their events under competition conditions in preparation for the ITF World Championships in May. Laura joined with other members of the Vision Association to compete in both sparring and power test (breaking boards). Laura was glad of the practice and had a challenging final in sparring, eventually coming away with the gold. Power test took place throughout the day and as testimony to technique over size Laura over came several heavy weight competitors to eventually take gold. Vision Takwon-Do to which Swift Fox TKD is affiliated hosts a number of Taekwon-Do seminars throughout the year. This one was free to all Vision members and was an opportunity to learn/practice some specialist skills for which we don't always have enough time for in class. Juniors attended three, hour long sessions in the morning covering Sparring, arm locks and jumping techniques. The adults stayed for the afternoon (a total of 6 hours) attending sessions on flying kicks, practical elbow applications, patterns (with a twist), competitive sparring.